Sounds like the title of an interesting show on TV right? But instead those are the first names of the people we honored in worship this Sunday. I printed a short blurb about each of them in worship and for those who couldn’t make it, I wanted to share it here online with you. Andy, Aiko, Ginger, and Kathy have done so much to make worship happen every week and they make it possible for me to focus on the other aspects of our Sunday morning. On top of that, each one has done SO much, I couldn’t possibly list it all so instead I offer these words instead and hope they will suffice. Andy’s ability to play the piano is truly a gift. I’ve served in a number of churches and known a number of musicians and Andy has a rare talent. His ability to add depth to every piece is simply remarkable. We have been so fortunate to hear him play and so glad he has shared his gift with the church. Andy has dutifully played the piano in worship for as long as I have been here in Dinuba and long before that as well. Although he was offered payment for his service, he never accepted. 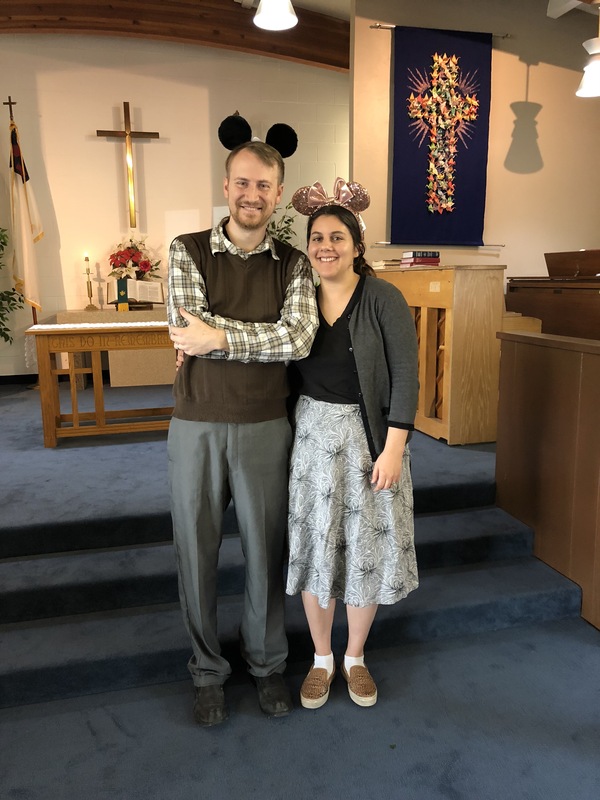 Beyond serving in worship, Andy has been the church representative to Annual Conference for many years – previously with First UMC and then for us at Palm. He was so well respected in the conference he was asked to lead one of our legislative sections each year I was at AC. He has also served in our church on SPRC and as Treasurer. Now that Andy is married and has moved to Fullerton we know we will see him less and have to be a little envious of whatever church has the opportunity to be blessed by his talents. Too often we wait until those we appreciate and care about are not with us to celebrate them so today was about celebrating the ministry Andy has shared with us for so long. Congrats, Andy, on the path life is taking you, your new life together with Sarah, and blessings for the future ahead! Ginger has been a life-long member of the church and a truly devout Methodist! So few people today know or care about what it means to be Methodist, but Ginger is definitely one of them. She has been the song leader of our church since I’ve been here and long before that, too. 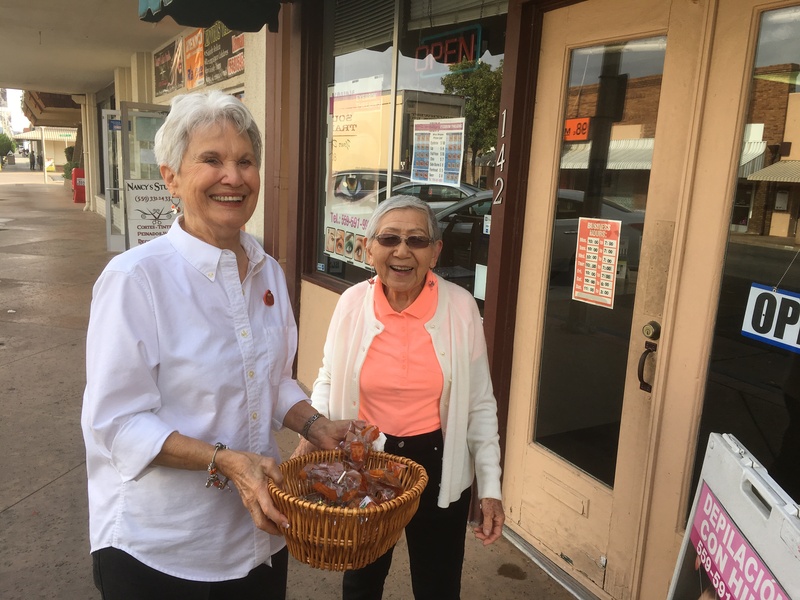 She decided to retire from the position earlier last year and how could we not lift up Ginger’s ministry to the church after all that she has done for us? Ginger is passionate about God and Jesus Christ and has devoted her time and efforts toward growing God’s kingdom in whatever way she could. She has not only led us in worship, but has served on the SPRC for the entire time I have been here, been a devoted member of our sermon Bible study, and helped to form a prayer group at church TWICE! She has also served in a number of other positions including Sunday School teacher for which I am sure her charges are quite grateful. There are a NUMBER of other things Ginger has done for our church and in support of the Kingdom of God and so please forgive me for any serious (or minor) omissions. Thank you, Ginger, for all of your years of faithful service to God and our church! Know always that you are appreciated. Aiko on the morning we revealed she won the Bishop’s Award from the conference! Aiko was one of only a handful of Bishop’s Award recipients this year – an honor that goes to those people who show exceptional character in serving God and the church. We are all so proud of all Aiko contributes to our church and our community. Aiko has been one of our worship leaders for as long as I have been here (a theme that you can tell runs through all of our honorees). She is devoted, caring, selfless, and extremely humble. Maybe that’s why we all like to brag about her so much. It’s so refreshing to share the accomplishments of someone who works quietly under the radar without seeking accolades, but that’s just part of Aiko’s character. In addition to her contributions playing the piano and organ in worship (as well as many funerals – a service that is much more exacting than most let on), she has served in any number of positions on the church council as well as leading our choir, co-chair our missions efforts, being part of our sermon Bible study and prayer group and even now leading her own! There are again too many of Aiko’s accomplishments to list, but know that she has done them all in the service of God. 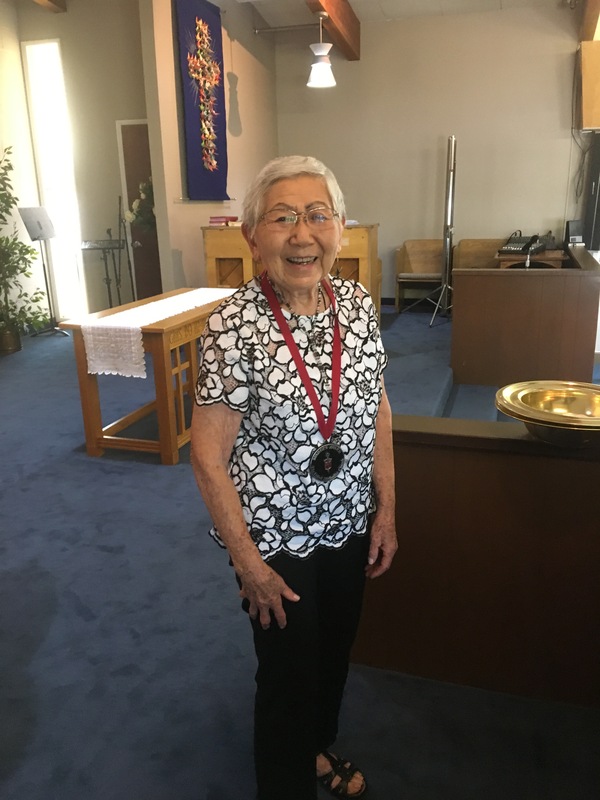 Thank you, Aiko, for your MANY years of service and for continuing to serve God at Palm UMC. Kathy helping out as always! This time in the kitchen. Kathy is our help ninja. Kathy is a vital part of our worship team every Sunday. The little pieces of paper you hold in your hand every week that gives you all the information about worship and the upcoming events are done by Kathy. She also picks out all the cute cartoons at the bottom of the bulletin that so many of you like. AND she picks out the Call to Worship every week. Let me tell you, that is such a life-saver for a pastor to not have to worry about such things. On top of that, Kathy served as SOLE worship leader at First UMC for many years. Can you imagine that? No wonder she’s so good at it. She continues to serve in that role here at Palm UMC also but I know is so grateful to not be the only one. 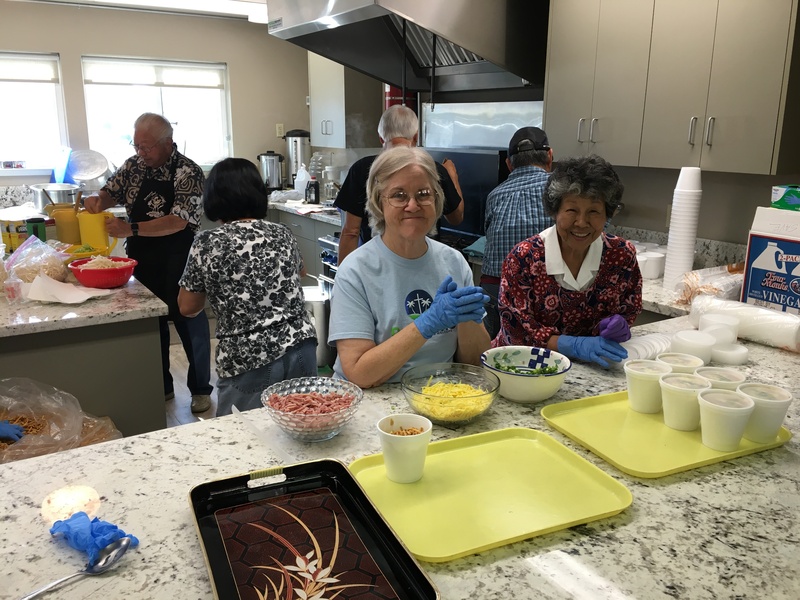 Kathy not only quietly volunteers at the church on so many projects, has served as lay leader at First and now at Palm for many years, but is always willing to help out and has a heart for helping others. Like all of our honorees, she doesn’t seek out praise, but just does the little things that make our lives better. Often at her own time and expense. Again, there are too many ways Kathy serves our church to mention, but just know that we appreciate all she does. Thank you, Kathy, for your tireless and often quiet ways you serve our church and know how much it means to all of us! If you see any of our four honorees, please share your own thanks with them!